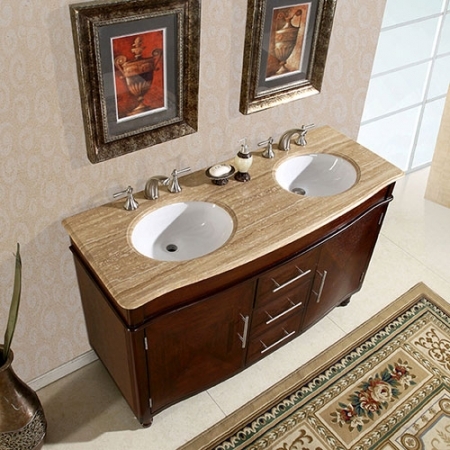 Travertine counters offer a stylish and unique element for your bathroom. Since natural stone offers variation of color that is different with each cut, you can be sure you will receive a one of a kind vanity. 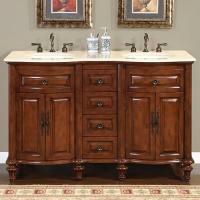 Under mount sink and cabinet storage also provide plenty of functionality. 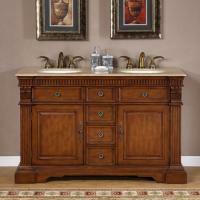 I didn't think I'd like this vanity at first but the solidness of it and great colors work perfectly. The shipping company did not contact us to setup a delivery time, they just showed up, but the driver moved the vanity into our garage and instead of leaving it at the curb, it weighs about 300 lbs. 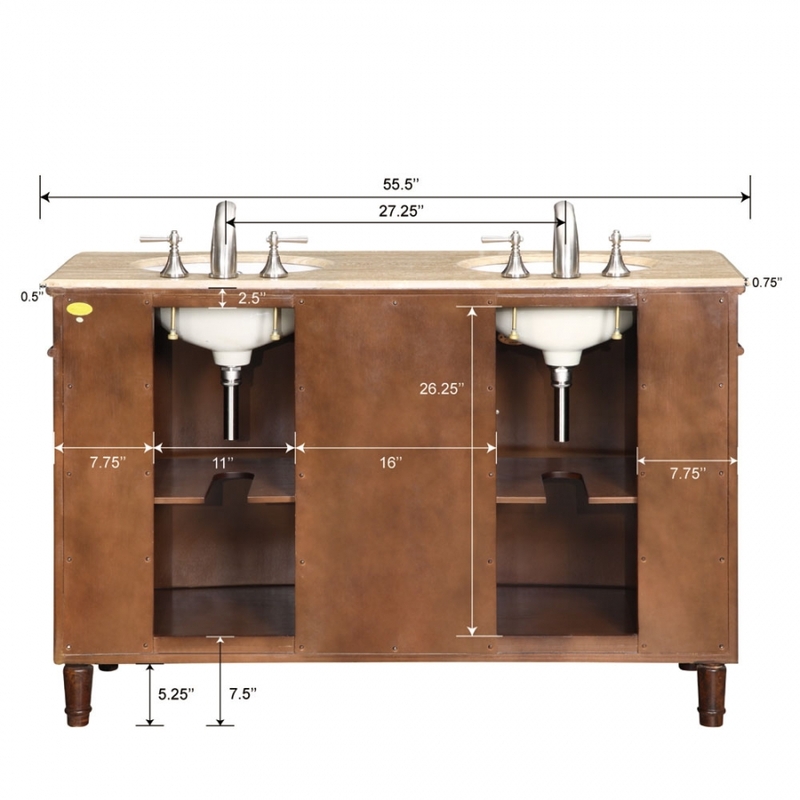 The travertine top and attached undermount sinks are beautiful with no imperfections in the travertine color. I was impressed with how solid it feels, definitely not cheap materials used on this one! Good quality. Arrived in perfect condition. White glove treatment was definitely a plus- we were so grateful not to have to carry an almost 300 lb. vanity up 15 stairs! 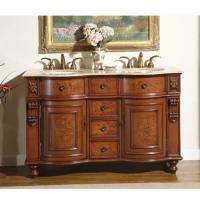 This vanity was solidly built, more so than I thought. 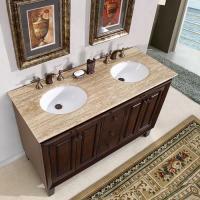 The travertine countertop is beautiful and gift right in our new bathroom. Love the hardware too. Purchase was easily made. Product as advertised. White glove delivery is a great customer service. I would do business with your company again.